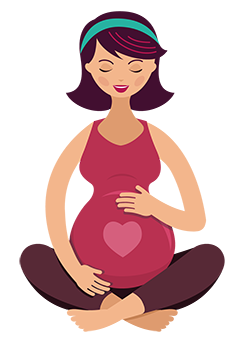 Home Page › General Articles › What Should I Know About My Weight During Pregnancy? What Should I Know About My Weight During Pregnancy? You can certainly expect to gain some weight during your pregnancy. The question is, how much weight should you healthily and safely gain in the next nine months? According to experts, you should generally be gaining about 1-2 kilos in the first three months. Thereafter, it is normal to be putting on about half a kilo per week until your third trimester. If you are expecting twins, you should be gaining slightly more per week (approximately 700g) after the first three months. Remember that these are just general guidelines by many reputable organisations. In practice, your weight gain will depend on several factors such as your weight and body mass index (BMI) before pregnancy, your age, and/or if you have any pre-existing health conditions. Nonetheless, wherever you are on the weight spectrum, it is important that you adhere to a healthy and well-balanced diet throughout your pregnancy to keep you and your baby healthy. As much as you can, try replacing junk food and processed food that are high in salt, sugar and fat with grains, dairy, protein as well as fruits and vegetables. Eat 5-6 small meals every day instead of 3 big ones. To round it off, complement your healthy diet with suitable exercises for at least 30 minutes each day. Most importantly, be consistent in your visits to your gynaecologist. 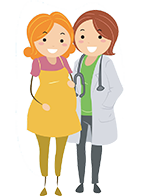 In addition to checking if your baby is developing well, he or she will also help monitor if you are gaining the right amount of weight slowly and healthily.